Now that you have set up your live bank feed in Xero, it is time to learn how to reconcile your accounts. Don’t worry, Xero makes bank reconciliation easy and fast. Just click a couple of buttons and let the software do its thing. Remember that setting up your live bank feed facilitates the automatic flow of transaction data into the Xero platform. That means you can reconcile on a daily basis rather than waiting until the end of the month. Daily reconciliation makes for more efficient accounting with fewer chances for errors. Your daily reconciliation starts by logging in and going straight to the Xero Dashboard. You will see a list of your accounts on the left side and a summary of your activity on the right. Just click the ‘Reconcile Items’ button for the account you want to reconcile. You will be taken to a new screen listing all the unreconciled transactions for that account. Xero remembers the last transaction entered for each customer, auto-filling customer data for new transactions where possible. If the auto-filled data is correct, click the ‘OK’ button and you’re done. If it’s not correct, you can edit the information using the boxes on the right side. You can enter transactions manually as well. Just use the empty form to the right side. Enter the customer data, categorise the transaction, and click ‘OK’. Reconciliation in Xero is made even easier with the implementation of bank rules. What is a bank rule? It is a set of instructions that tells Xero to automatically enter a transaction based on certain parameters. Just to the right of every transaction you are reconciling, you should see a ‘create rule’ link. Click it to create a new rule based on that transaction. On this new screen you can set the parameters of your rule including things like transaction description, customer account, the bank account that will handle the transaction, and so on. Click ‘Save’ when you’re done to make sure the changes take effect. You will be able to confirm and reconcile future transactions created under the rule just by clicking the ‘OK’ button. You reconcile a receipt with a payment for multiple invoices by using the ‘Find & Match’ feature to the right side of the transaction list. Just click the link next to the receipt you want to reconcile. Now search by either customer or invoice. All the invoices pertaining to that customer should show up in the search; choose those the payment applies to and click ‘OK’. You can use the Split function to apply partial payments if you need to. You can transfer funds between accounts during the reconciliation process by clicking the ‘Transfer’ tab on the right side of the transaction you are working with. Choose the desired account in the drop-down menu and you’re good to go. If you run into problems during reconciliation that require the assistance of your accountant, click the ‘Discuss’ tab and leave a note. 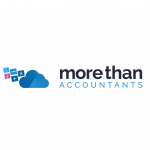 Your accountant will see it next time he or she logs in to Xero. The answer to your question can be added by your accountant to the discussion you started. That’s all there is to bank reconciliation. 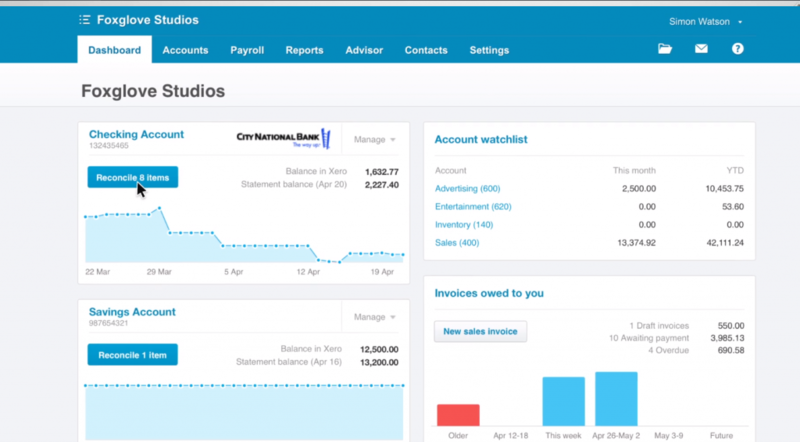 Xero has made it as easy as can be.